For her age, she shows well. The bow cushions are showing some wear (pictured), but no major tears or rips in the upholstery. Snap-in carpet appears to be in good shape throughout the vessel. Hull shows some wear on the Keel, and no major damage seen while walking around the vessel. The owner has all maintenance records!! Stock #164195 Original everything! 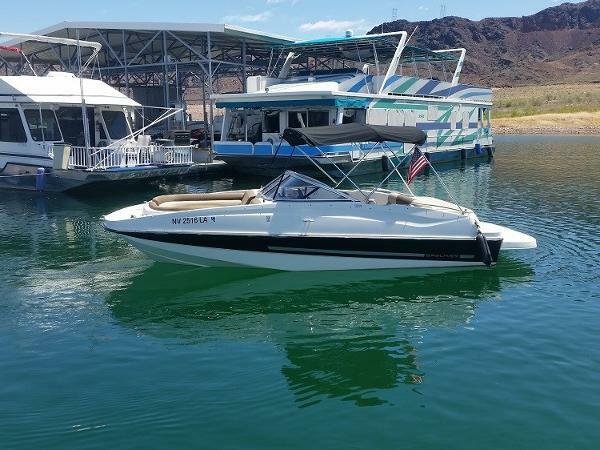 Boat is in excellent condition have all maintenance records! 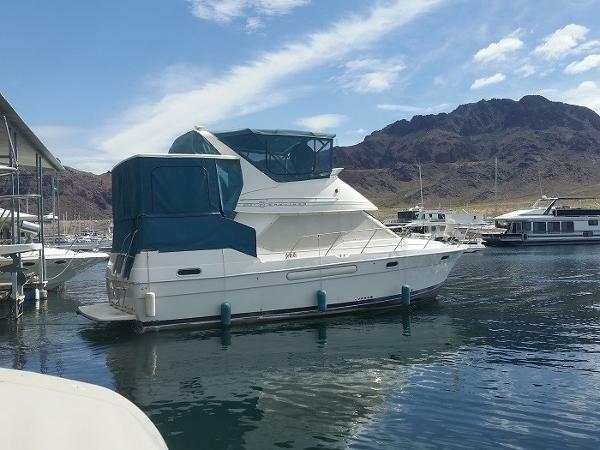 If you are in the market for a deck boat, look no further than this 2004 Bayliner 249 Sundeck, priced right at $22,100 (offers encouraged). 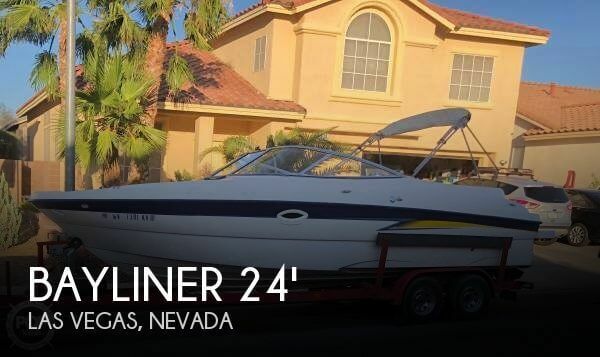 This boat is located in Las Vegas, Nevada and is in great condition. She is also equipped with a Mercruiser engine. 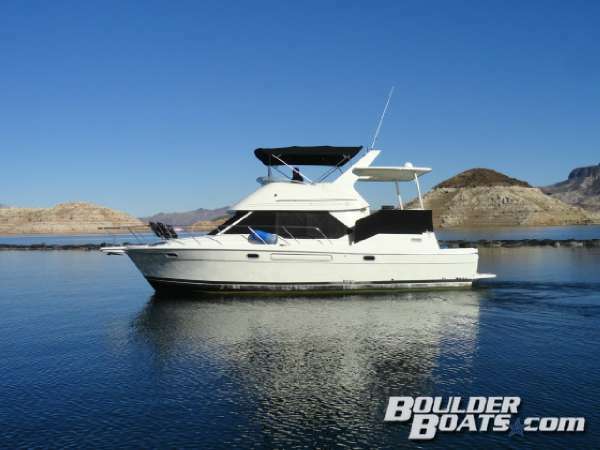 Reason for selling is not getting to enjoy as much as they would like..
1997 Bayliner 3587 Motoryacht The Bayliner 3587 Motoryacht offers the spaciousness, convenience, and privacy that experienced cruising enthusiasts demand. A roomy aft cabin design provides comfortable liveaboard cruising. Standard dual-helm stations allow for an extended cruising season, and a large aft deck makes for convenient dockside entertaining. Large salon windows let sunlight into the expansive interior and a fully equipped galley adjacent to the salon is convenient for entertaining aboard. The companionway leads forward to two private double staterooms and a complete head compartment. The aft owner's stateroom offers an island double berth, dressing table, drawer storage, hanging locker, and its own head with separate stall shower. Molded-in steps lead to the bridge deck where wraparound lounge seating and plenty of open space allow comfortable viewing while underway. Forward of the starboard lounge, the lower helm offers excellent visibility for the captain. 2017 Bayliner Element E16 We designed the evolutionary Bayliner Element E16 to be the start of something new. It combines a stunningly affordable price, familiar automotive-style handling, and class-leading stability and safety features. Plus, it has the power and comfort features to get you to the fun spots and enjoy every minute. Key Features Comfortable layout with opposed seating for up to six facilitates conversation among passengers. Deep freeboard and high gunnels keep passengers secure. Innovative M-hull design puts Element on plane right out of the hole and maintains level flotation at rest and through turns. 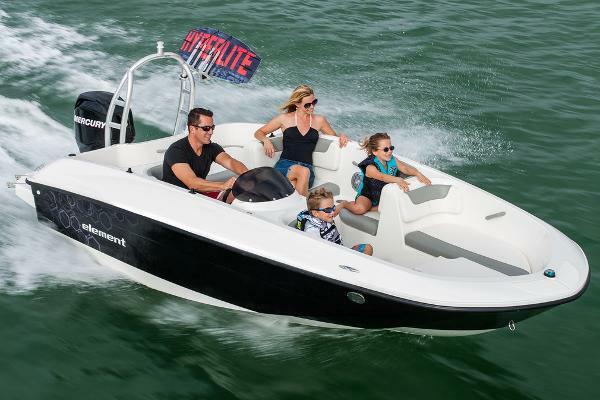 Intuitive helm with clear, multifunction gauge; reliable Mercury outboard power; 360-degree unobstructed views; and familiar automotive-style handling make Element easy to operate for beginner boaters. Optional Sport configuration includes custom Sport arch, special graphics, Black or Red gel coat color choice, cooler and bow filler cushion. 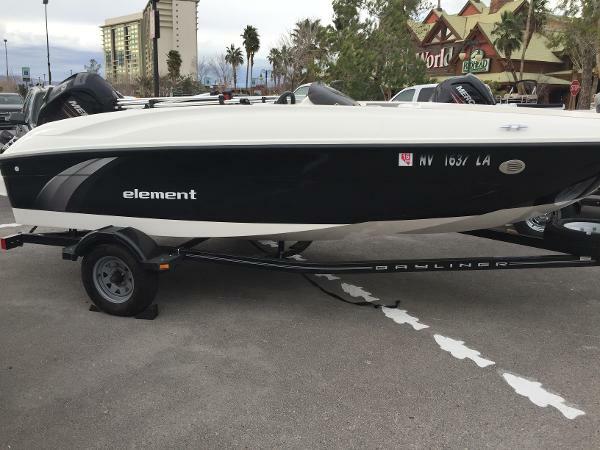 2015 Bayliner Element 2015 Bayliner Element with Mercury 60 HP 4-stroke and trailer! 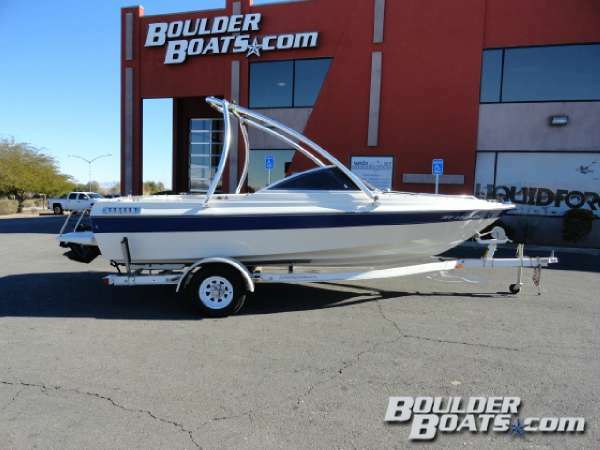 2008 Bayliner 175 The most affordable stern drive package on the market is the ideal family fun package, with features of boats costing twice as much. This 2008 is in great condition. Powered by a 3.0L Mercruiser. The boat has a bimini, an upgraded stereo, load guides on the trailer and a boat cover. 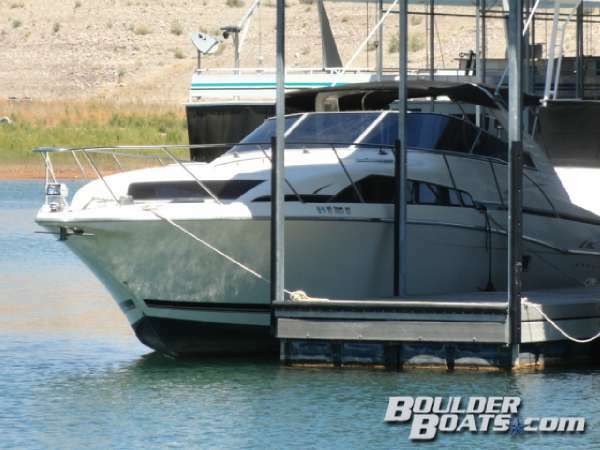 This boat is located at our showroom on Boulder Highway in Las Vegas, NV. Come see it today! 2017 Bayliner 195 Deck Boat Bayliner's family-friendly 195 Deck Boat packs style together with plenty of features for full days on the water. Catch some serious water sports air with fuel-efficient Mercury® power that gets the 195 up on plane fast, even with the maximum crew of 11 onboard. 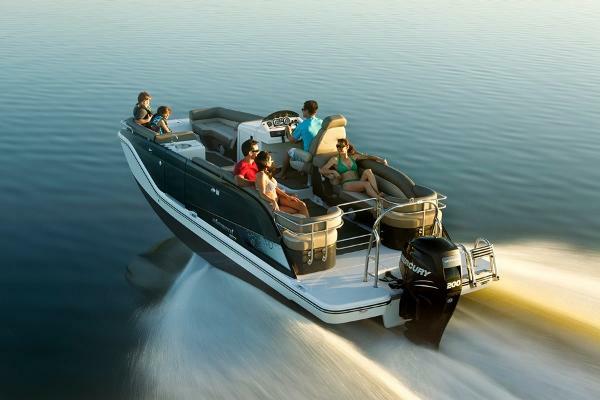 Plush, comfortable seating creates an ideal cruising environment and makes staying out on the water easier. Abundant dry storage keeps gear protected and specialized optional features give you maximum versatility— from water sports to fishing—for all the capacity you'll ever need. 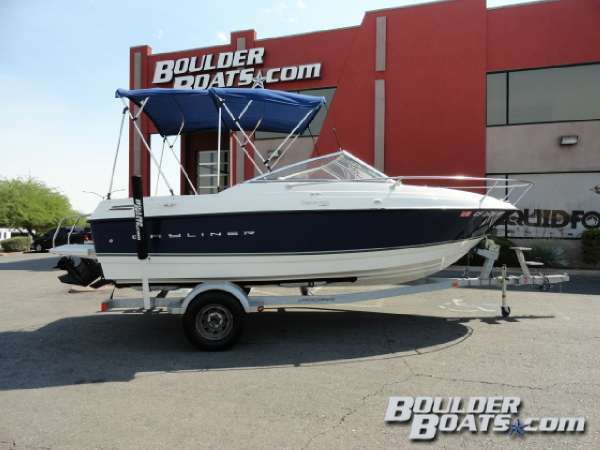 Located at our boat showroom on Boulder Highway in Las Vegas, Nevada. Key FeaturesMultiple floorplans available: choose standard windscreen or optional wraparound windshield.Innovative portside storage with tote may be replaced with an optional head.Plush and comfortable seating along with spacious bow makes the 195 Deck Boat great for family cruising.Mercury Sterndrive powers reliable performance, so you can make thrills and memories. 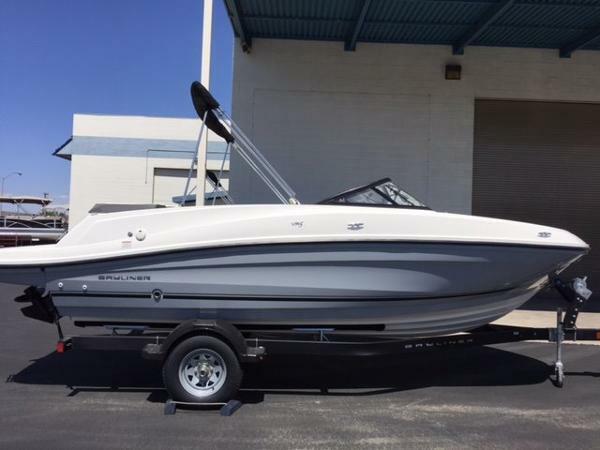 2017 Bayliner VR5 Just Arrived! Affordable Fun! 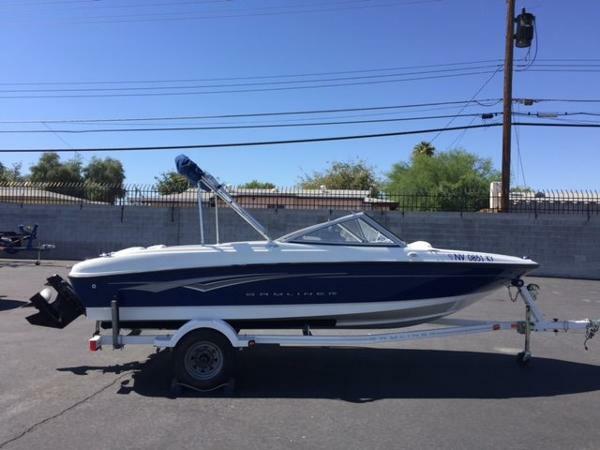 2017 Bayliner VR5 sport boat is ready for action! Check out the beautiful new gray hull side gelcoat. 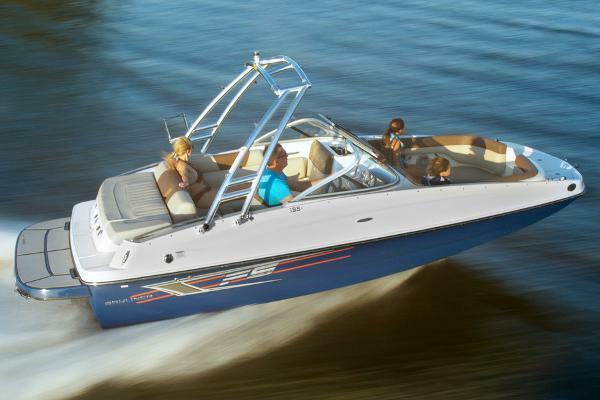 Powered with the Mercruiser 4.3L MPI 220hp engine. This boat is ready to enjoy! 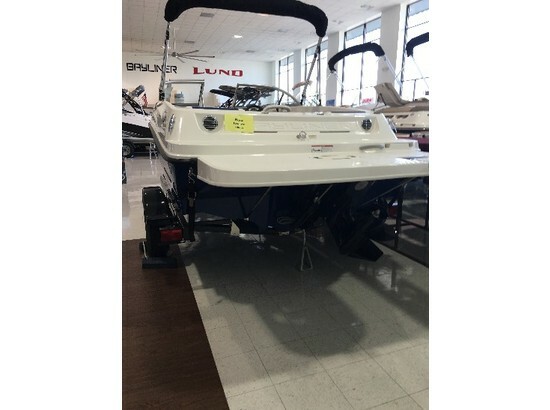 Options include: Bimini top with boot, Snap-in Seagrass floor covering, bow filler cushion, digital depth gauge, and single axle trailer with brakes.